1. Go to the person or company's twitter homepage. The twitter ID can be found in three places on the homepage. 2. Copy and paste the twitter ID into Nimble's twitter account field. 1. Go to the person or company's Facebook homepage. 2. 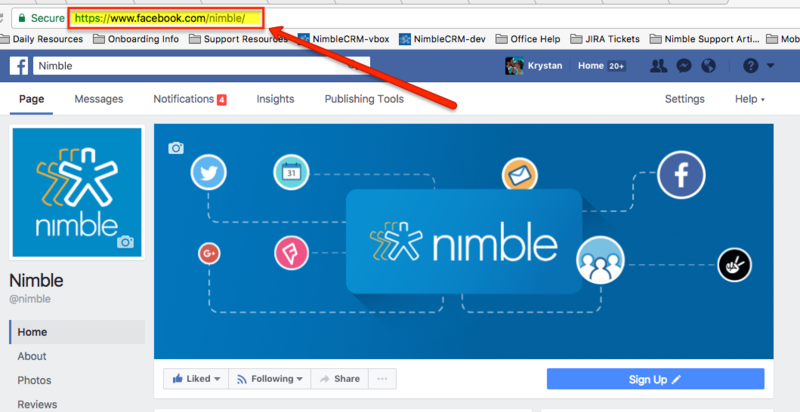 Copy and paste the URL link into Nimble's Facebook account field. 1. Go to the person or company's LinkedIn profile. 2. 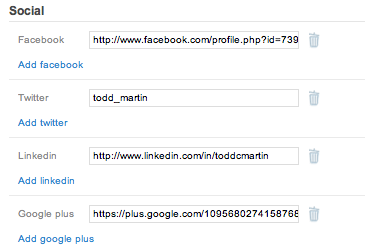 Look for the URL link corresponding to "Public Profile" on the profile in LinkedIn. 3. 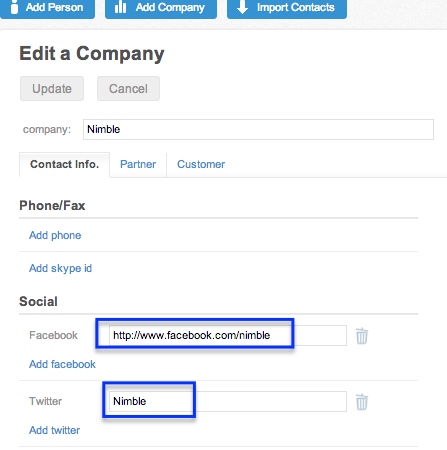 Copy and paste the link into Nimble's LinkedIn account field. 1. Go to the person or company's Google+ page. 2. 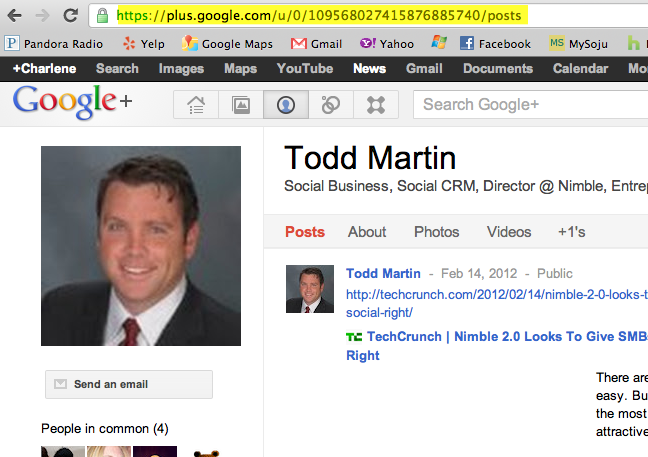 Copy and paste the URL link into Nimble's Google+ account field. Once you've copied and pasted the profile links, scroll down to the bottom of the contact record, and click on Update to finish.